...or any supported version of Windows, really. There are good reasons why you might want to take a screenshot in Windows 10. A screenshot can be useful for quickly showing someone what’s on your desktop, or grabbing a quick moment from a video that you need to share. 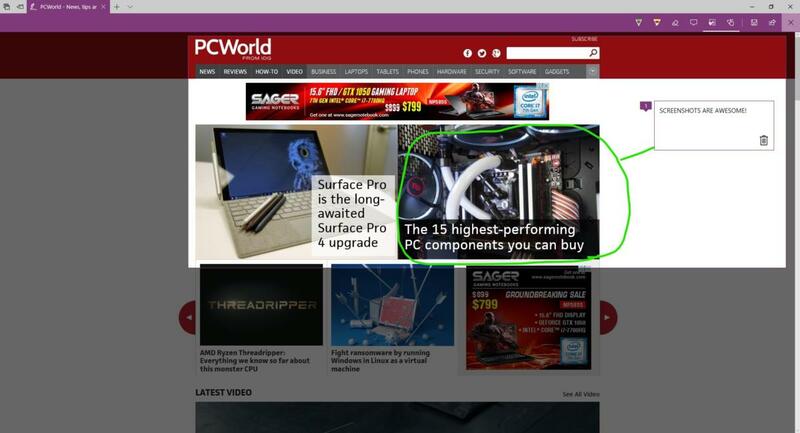 Windows 10’s built-in screenshot controls are easy to use, but they aren’t exactly obvious. Here are three built-in Windows screenshot keyboard shortcuts, most of which will also work in earlier versions of Windows. We’ll also suggest a few third-party applications for those who need a more powerful screenshot utility. The old screenshot standard still exists in Windows 10. Press the PrtScn button on your keyboard and your entire screen (or screens, in a multi-monitor setup) is copied to the clipboard. From there you can paste it into Paint, GIMP, IrfanView, Photoshop, or any other photo program that allows you to paste in an image. An upgraded version of PrtScn available since Windows 8 is Windows key + PrtScn. Tap those two keys simultaneously and your screen (or screens) will “blink” for a second, as if a camera shutter was opening and closing. Open File Explorer, navigate to Pictures > Screenshots, and your screenshot will be there waiting for you. If all you need is a screenshot of the current program you’re using—such as Chrome, Word, Excel, or PowerPoint—tap Alt + PrtScn. That will copy an image of the window currently in focus to the system clipboard. Just like using the PrtScn shortcut, you can then paste the image into the photo-editing or other image-friendly program (like the Gmail web app). Windows’ built-in Snipping Tool lets you capture a custom chunk of the screen, then mark up, save, and share that image. You know the program is ready to snip when your screen dims—don’t freak out. If you’re not quite ready to snip yet, just click Cancel until you are. Snipping involves clicking and dragging a box (outlined in red) around the area of the screen you want to save. 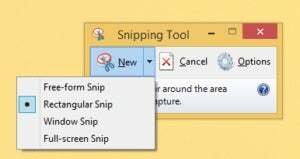 The moment you release the mouse button, that captured area will appear in the Snipping Tool window. From there you can save the snip (in your choice of GIF, JPEG, PNG, or HTML formats), copy it to the clipboard, email it, or add some basic notations using a pen and highlighter. Great little tool. Give it a try!